To register, bring your Photo ID and your shopping cart. 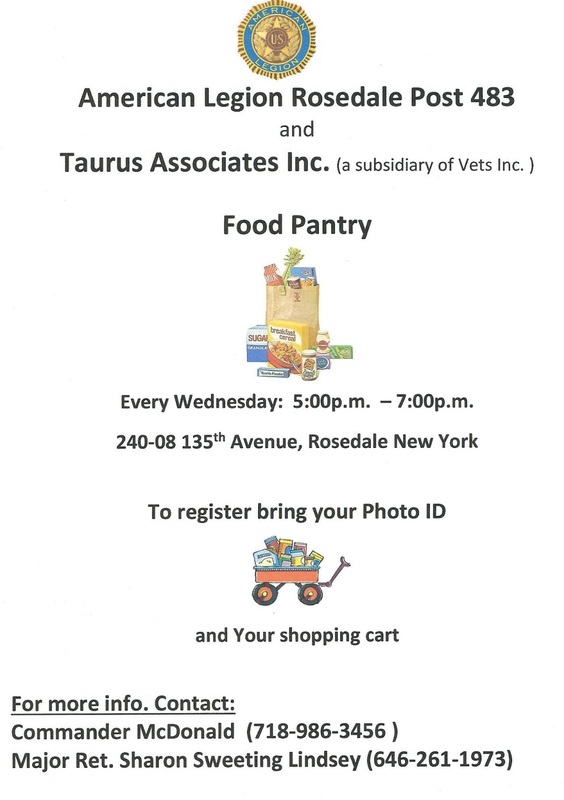 For additional information, contact Commander McDonald at (718) 986-3456 or Major Ret. Sharon Sweeting Lindsey at (646) 261-1973. Labels: Sharon Sweeting Lindsey at (646) 261-1973.